Improv Anywhere presents the annual Vancouver Zombiewalk on September 10th, departing from the Vancouver Art Gallery. 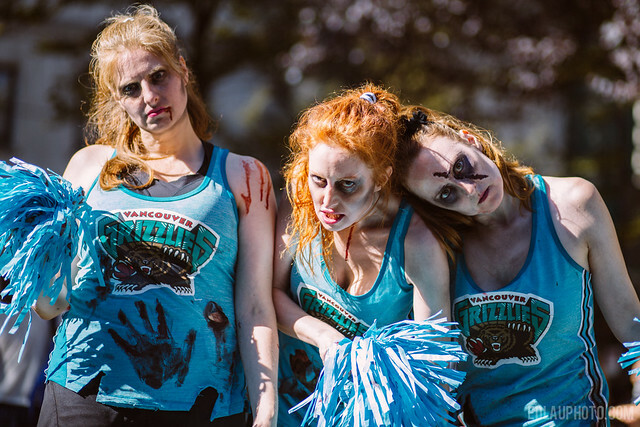 This event is fun way to show off your costume skills, and get some exercise with your fellow undead as you lumber your way through Downtown Vancouver. Tickets: Free. A donation of $2+ is encouraged to help recover the costs of the event. On the day, between 12:30pm and 3:30pm, makeup artists from Blanche MacDonald will be on site to transform participants into their ghoulish alter ago. They’ll be setup near the south steps of the Art Gallery. First come, first served, and the cost for zombie makeup will be $20-$40. 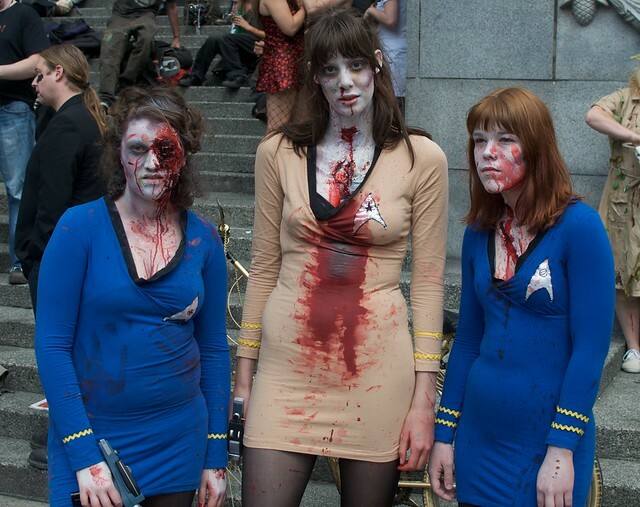 The zombiewalk will go down Robson, to Denman, then continue on to English Bay. It is family-friendly and participants are asked not to vandalize any property, respect children participating (or passing by), ham it up for the camera, and have some good, clean fun being undead. Spread the word, and infect others, by following the tag #ZombiewalkYVR along with Improv Anywhere on Facebook and Twitter.